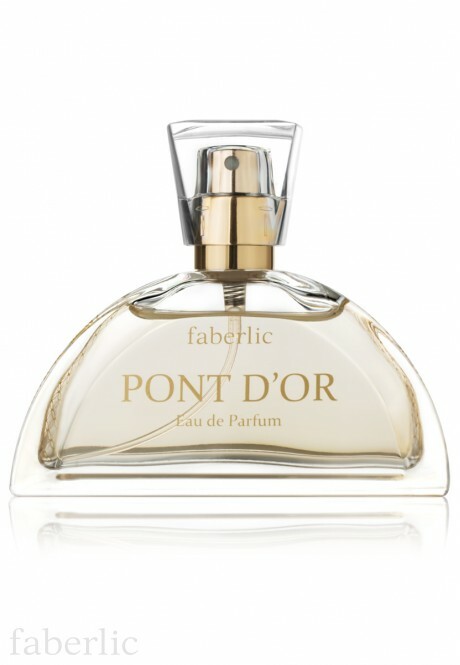 Pont d’Or was created for Faberlic by the famous French perfumer Bertrand Duchaufour. Fragrance: gourmet, fruity and spicy. The fragrance sparkles with the brilliant bergamot, apricot, praline and nutmeg notes which intertwine in fine precious lace. Golden flame of ambergris, musk and vanilla milk nuances open the door to your dream. 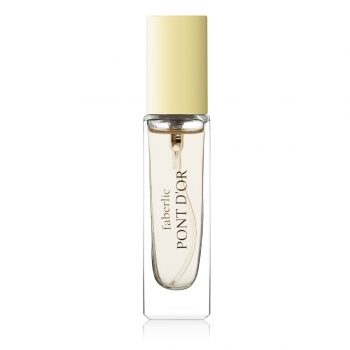 Top notes: bergamot, sweety grapefruit. Body notes: jasmine, white peony, apricot, praline, nutmeg. 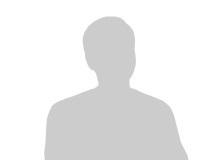 Base notes: white musk, ambergris, vanilla milk, sandalwood. 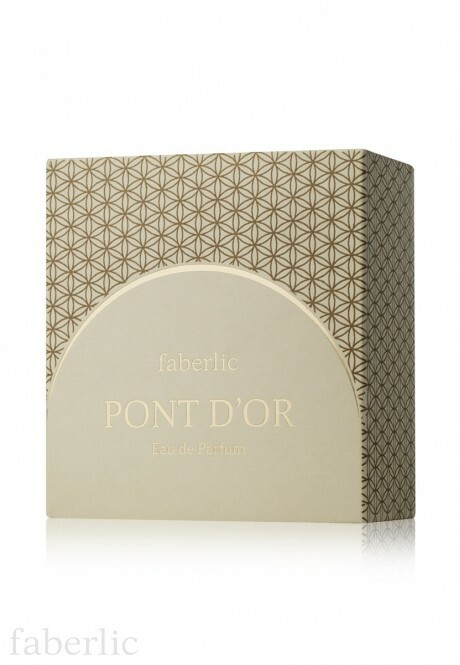 To learn more about Pont d’Or Eau de Parfum, read Faberlic Magazine №53 (February 2014). Contains: alcohol, aqua, parfum, linalool, hydroxycitronellal, limonene, hexyl cinnamal, hydroxyisohexyl 3 – cyclohexene carboxaldehyde, geraniol, butylphenyl methylpropional, isoeugenol, eugenol, citral, benzyl benzoate, benzyl alcohol, citronellol, cl 19140.